Take Action Against Radon This January! January is National Radon Action Month! Radon is danger often overlooked by homeowners so this month offers a good reminder to test our Whittier Area homes. During this month, California residents can receive a FREE Radon Testing Kit through Alpha Energy! Order yours online HERE or call them toll-free at 1 (800) 324-5928 (Option 6). Also, be sure to check out all the helpful resources and information provided through the California Department of Public Health's Indoor Radon Program! Follow us on Facebook or check out our Website throughout the year for more home safety and improvement tips! What are the best bathroom updates to get the best return on your remodel investment? New tiling. An easy and inexpensive update to truly change the whole look of your room! Tile comes in a variety of styles and colors, giving your many options for your bath. Vanity Upgrades. Vanities have come a long way in the past several years. Once you’ve decided on the look & color for your bathroom, research all the options for your vanity. Do you want one or two sinks? Looking for a modern or farmhouse feel? What color would accent your wall and tile color? Will you use regular basins or above counter bowls? Storage. One thing missing from many bathrooms is adequate storage. This has a terrific return on investment as most home buyers love the idea of beautiful and efficient storage options; whether they are tucked into an otherwise wasted space, or encompass a full linen closet. Work with the options best suited for the space you have. We love using baskets on shelves for design, storage and efficiency. A touch of luxury. 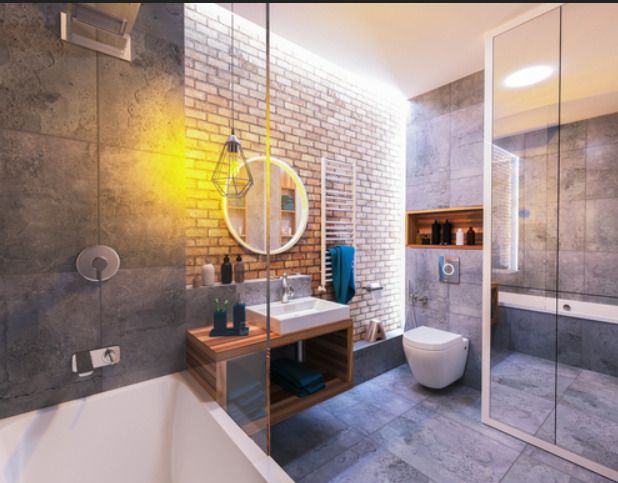 Everyone wants to feel like they’ve entered a ‘spa’ when they're in their bathroom, so pay attention to luxurious extras that aren’t too lavish. Think a jacuzzi tub, heated towel warmers, soft lighting and cozy accents. Do you need some assistance with upgrades that will bring value to your home? Contact The Domis Team! Like and Follow us on our Facebook page for great local real estate information, community events and more.